recurring small batch assembly needs. Niche expertise isn’t developed overnight. It took us nearly half a century to craft o urs and become a team with unparalleled expertise and execution in small batch electronic assembly production. 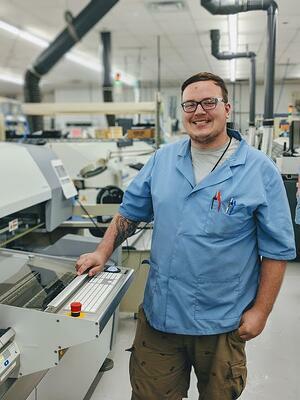 Since our founding in 1973, we’ve serviced thousands of mission-critical circuit boards, box builds, and control panels—experience that has helped us create our unique approach to small batch manufacturing, which has been proven to lower client costs and ensure we provide superior service. Simply put, there are so many reasons to partner with RBB. Laser-focused expertise would be good enough on its own, but we think our clients deserve more. We’re not just another vendor. We believe that truly successful business relationships are dependent on dedication and trust, two attributes that inform every decision we make. What does that look like? In addition to delivering recurring small batches of assemblies at every stage of a product lifecycle, we offer clients the flexibility and partnership they need to meet their deadlines and achieve their goals. But don’t take our word for it. We consistently impress clients from a wide range of industries who want to talk about how we help set them up for success. When clients need superior small batch quality, they rely on RBB. Why? 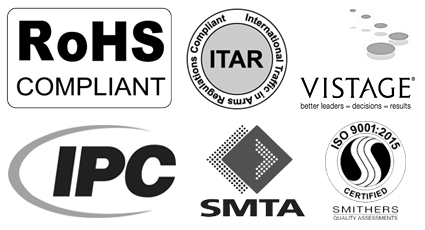 We believe in stringent compliance and maintaining strong relationships with industry-defining associations. Adhering to best practices and learning from the best in the industry only makes us stronger. RBB was established more than 45 years ago as an industrial engineering services firm. For many years, our engineers designed, assembled, and installed control systems for OEMs and other manufacturing environments. Later, we expanded to include printed circuit board design and assembly. We continued to add capabilities throughout the following decades, matching our services to our clients’ needs. While other contract manufacturers (CMs) pursued high-volume opportunities, RBB learned to say “yes” to virtually every type of design and assembly in the industry, eventually becoming the supplier of choice for mission-critical applications. Ultimately, we became the experts of frequent revisions, unpredictable demand requirements, and delivering the highest-quality products. In 2007, RBB leadership made a bold choice to change the company’s service model and focus on what we do really well: small batches. Since then, RBB has exclusively dedicated itself to small batch production.